Mrs. Nicholson Home will open on Saturday, July 1st at noon. We will be attending the Town Proclamation at 11:30 am at the Town Hall. Annapolis Royal is welcoming 10 delegates from our twin city of Royan, France – the birthplace of Pierre Du Gua, founder of Port Royal in 1605. At the Town Hall, there will be an exchange of Town flags and the singing of O Canada followed by the French national anthem – La Marseillaise. We hope you will join us here in Annapolis Royal for all the Canada Day events. There will be entertainment all day long at our new amphitheatre including music and a play. The outdoor pool is offering a FREE swim from 1 to 4 pm. The community band will be giving a concert on the Fort grounds at 12:30. The Historic Gardens will be free all day and the Town will be giving away lobster rolls to the first 500 people on the wharf at 4:30. And, of course, it is market day! Be sure to visit the birthplace of Canada on this special Canada Day 150! This fabulous pair of 1940s chrome and wood lounge chairs have been newly reupholstered in a roll of vintage fabric from Montreal dated Sept 15th, 1941. Pattern name is Bluebird ! These chairs are fabulously comfortable and there is enough left-over fabric to upholster an ottoman. Come in and try them out! Perfect for condo, cottage or castle. 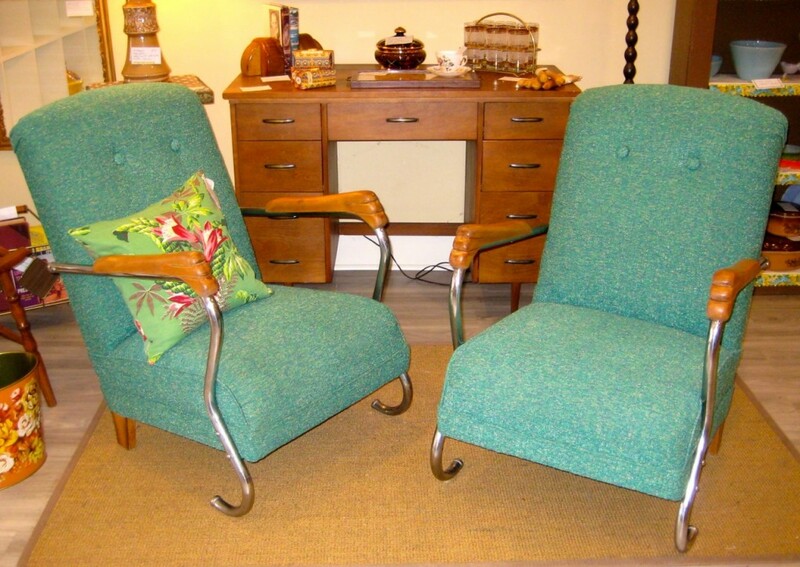 Wonderful pair of 1940s lounge chairs. Our friend and neighbour Jeff Langstaff has just launched his new website: empiremirror.com. Jeff lives right here in Annapolis Royal and crafts beautiful historically Neoclassic mirrors. 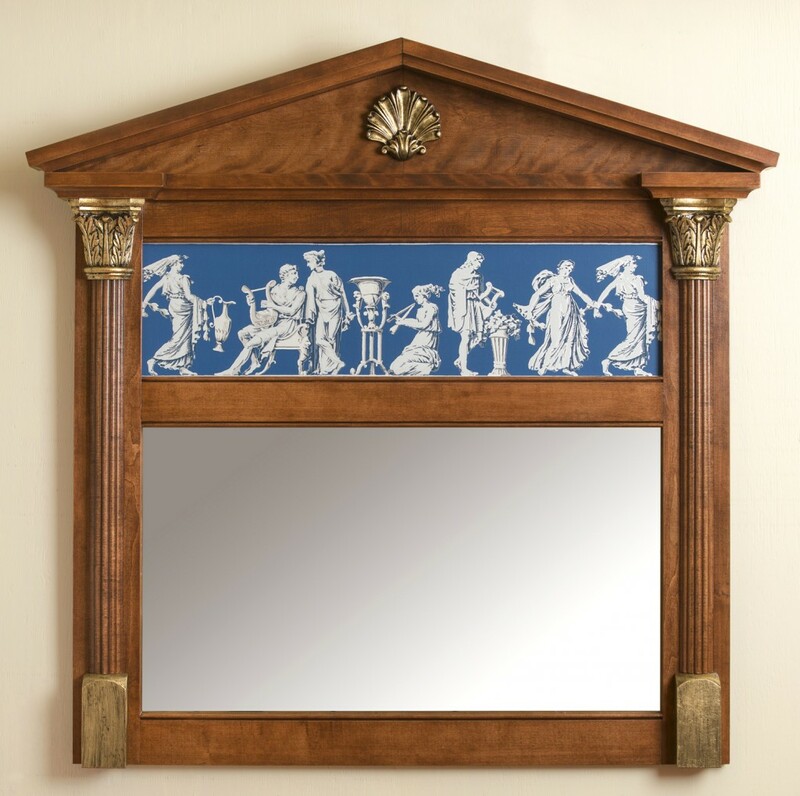 Each one is custom made to order using solid maple and birch hardwoods with antiqued gold metal leaf carvings and hand rubbed aged patina finishes. We invite you to have a look at his website and we wish him the best of luck. 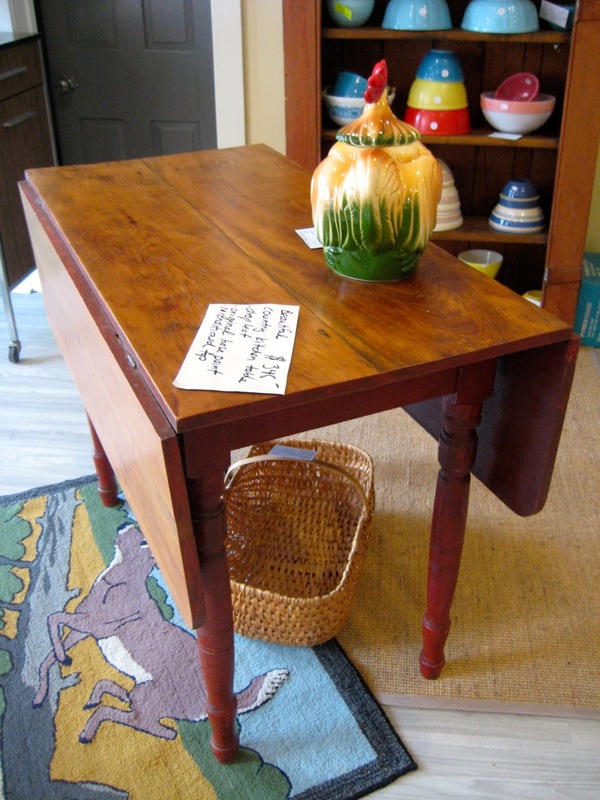 This is a great drop-leaf country kitchen table in excellent condition. It has its original base paint which is a cheery red. The wood is pegged. The top has been beautifully reconditioned. The leaves are supported by wood arms that swing out in the base. It would look fabulous in your country kitchen or pantry. 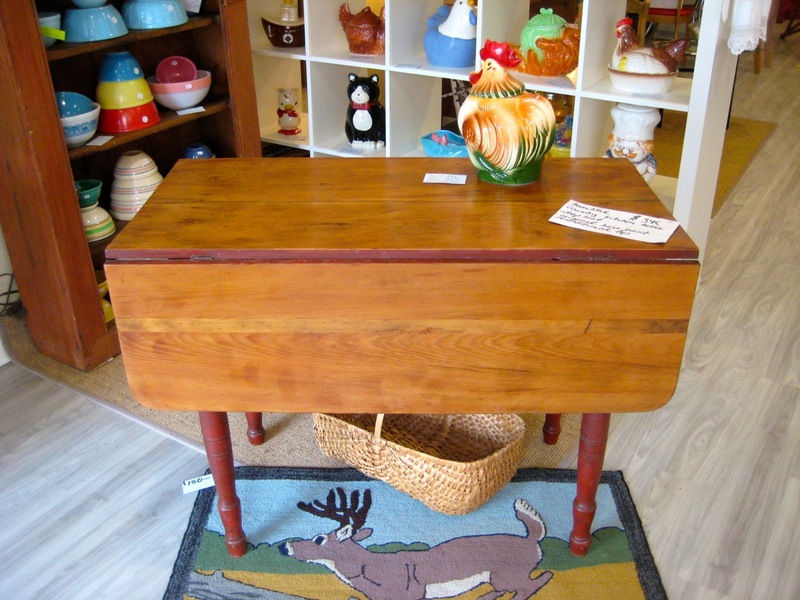 Drop-leaf table viewed from the side. 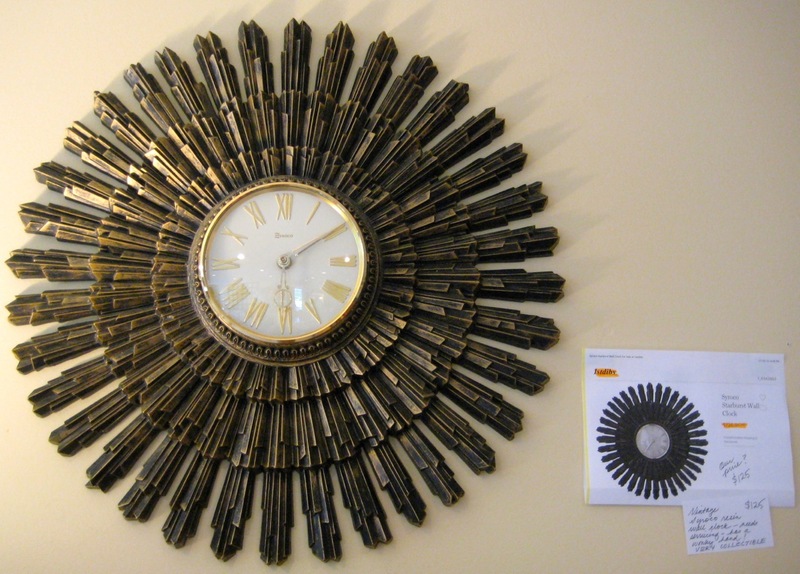 This amazing battery-operated Syrocco sun burst wall clock is from 1968 and is made of plastic. It seems like they sell for quite a bit of money when they are in perfect working order. 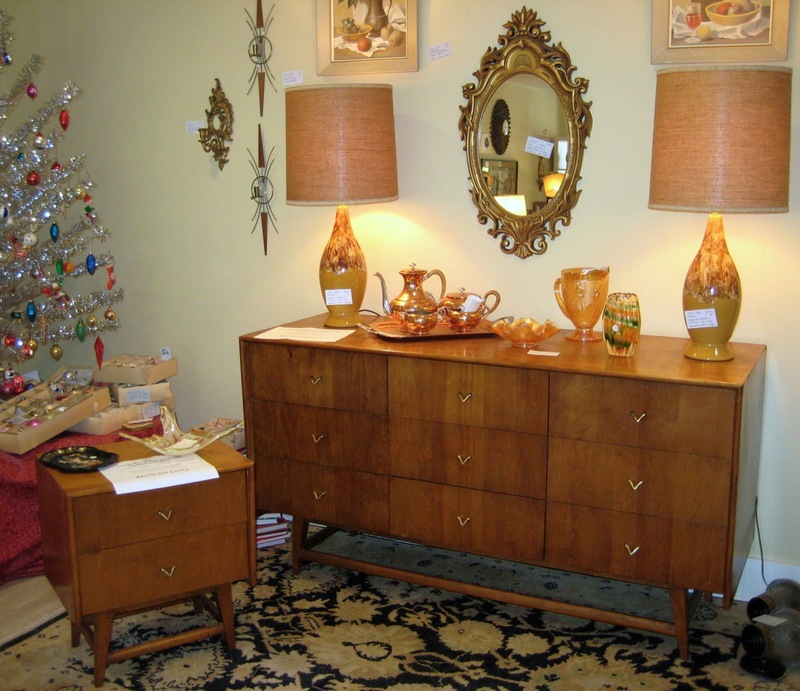 We found the exact same one for sale on 1stdibs for over $700 US. But you can purchase ours for $125! The clock looks fabulous: no cracks and the glass front is intact. It does not, however, actually work :-(. The hour hand slips and will not stay in place so it needs a little work. But even in non-working order, it is a great piece of vintage wall art!